It’s not too late to take a trip up the Skagit and enjoy the river, the fresh air, the eagles, and tons of free activities. Okay, so showers are likely on Saturday but that won’t stop you from enjoying some of the stellar FREE indoor programs available upriver. ﻿﻿First, at Concrete’s Sauk View Gallery, there is a free “Paint an Eagle” watercolor class﻿ from 11:00-2:00. At the Concrete Theater at 2:00 you can catch the Grizzly Bear Outreach Project‘s presentation “The Bear Truth” and learn about bears and wolves. Then from 3-5 enjoy a folk music concert from Chris and Mary Brown. Up in Rockport on Saturday the Skagit Bald Eagle Interpretive Center hosts photographer and legendary mountain man Pat Buller at 11:00 for his slide program “A Journey Into the Mountains”. Then at 1:00, Pat’s National Park Service colleague Jon Riedel, one of the world’s leading glacier researchers gives a talk about North Cascades geology which is not to be missed. Eagle Watcher volunteers ﻿﻿﻿will have viewing stations set up for the final weekend until next winter. Come visit if you have questions about eagles. 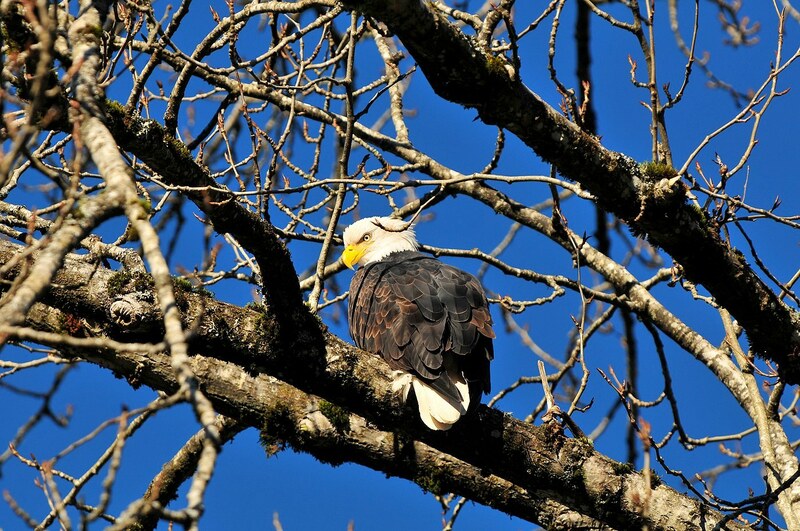 The eagles are definitely dispersing as they seek out other food sources (Hint: head for the Skagit Flats – small ducks are yummy) and eventually head for their nesting grounds. Seattle City Light will be out at Mileport 100 with us on Saturday so if you would like to know the big role Seattle’s Public Utility plays in the Skagit watershed, come by and say hi. 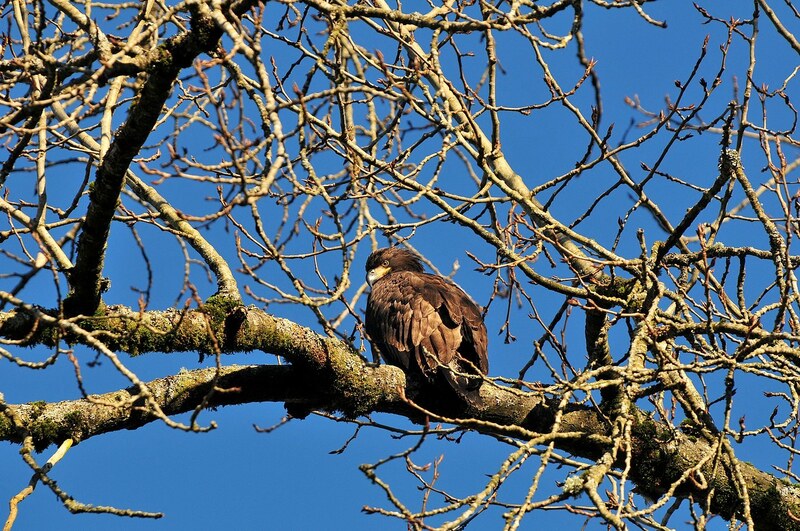 Our friend Elena has written an article about eagle watchers which is up on the Mt Baker Snoqualmie National Forest Website. Check it out! 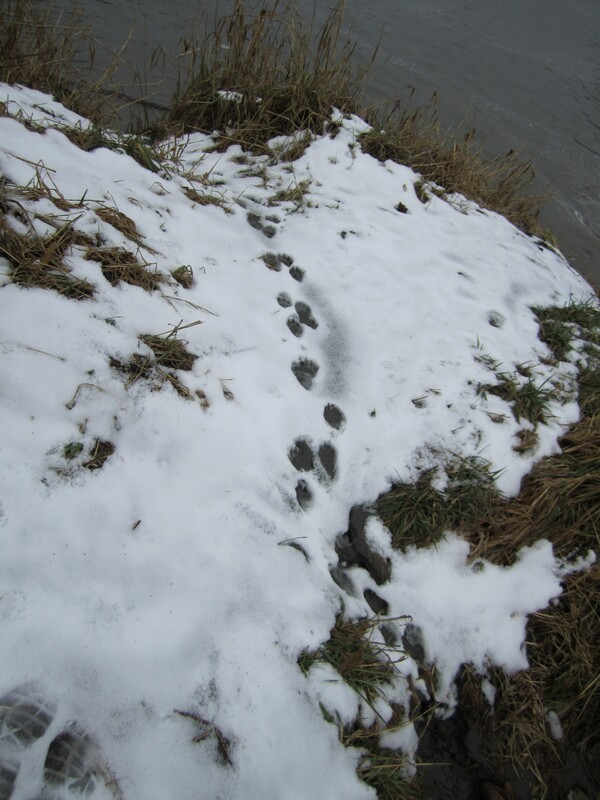 Surprise snow in Whatcom County last night (here in B’ham anyway)! Not sure about Skagit County roads yet. Eagle Watchers is still on, some folks may need extra time to get to Rockport. Have fun and drive safe – see you there!